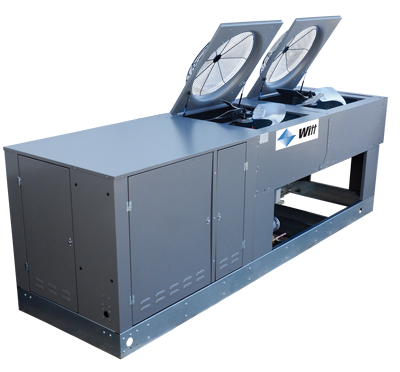 Witt’s line of versatile air cooled condensing units are engineered to provide energy efficiency, flexibility, and lower long-term operating costs. These units are at work in warehouses, restaurants, convenience stores, cafeterias, and many other venues. Air Cooled Condensing Units are available in medium or low temperature models, single or dual circuit, compressor options, voltage options, and range from ½ to 100 HP to meet the demands of today’s OEMs.